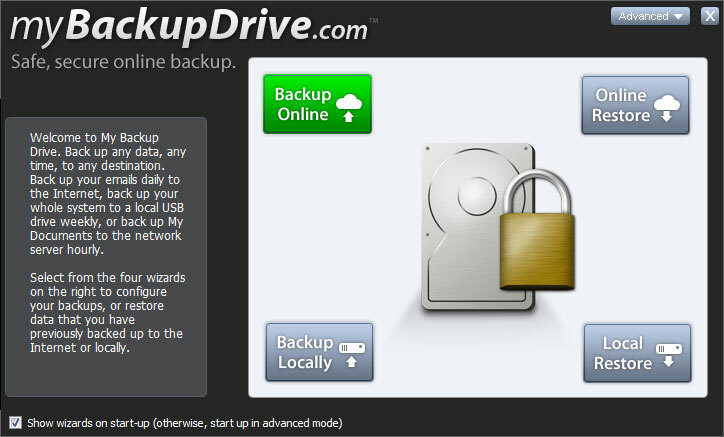 My Backup Drive makes online backup easy and automatic. Let My Backup Drive keep your data safe and secure, plus we give you easy access to all your files right over the internet. Don\'t risk data loss anymore, start your backup today! My Backup Drive makes online backup easy and automatic. Let My Backup Drive keep your data safe and secure, plus we give you easy access to all your files right over the internet. Don\'t risk data loss anymore, start your backup today! Features include unlimited versioning, support for 5 PCs, online access, advanced encryption, and more. EZ Backup IE and Outlook Express Basic makes it easy to backup your favorites, mail and address book to any local, network or removable drive. Slicksync My Documents Synchronizer Pro makes it easy to synchronize your My Documents folder to a local, network or removable drive!